I have not submitted a flash fiction story to Rochelle Wisoff Field’s Friday Fictioneers for the last three years, but thought I would jump on this one for old times sake and join in the fun. Here is mine of 100 words, exactly. I needed a break. Pouring myself another cup of coffee I sat down to relax. But, my brain still worked on the next chapter of my book. The gnawing, grinding sound like tiny teeth, chewing was driving me insane. But, it came from my desk. 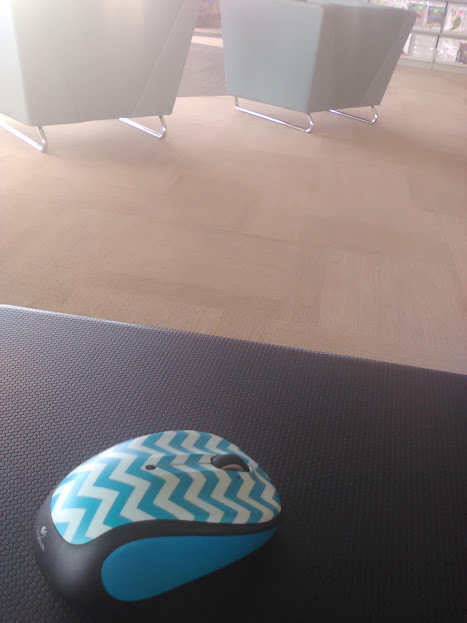 The mouse gyrated, moved around in crazy patterns, made clicking sounds, jerking itself free from my grasp. I stared, unbelieving as it came alive. Using keyboard shortcuts I clicked My Docs. Gone! Nothing! I clicked on my last saved file of my years’ long book project. It was not there. Gone! Is it just me, now suspicious of everyone I see? Standing outside my hotel room door, cautious, waiting, listening as if expecting to find one going through my things, my files, laptop. No! I cannot be this way and do my work here. I have a job, an assignment that requires my total focus and concentration. I inserted the key, turned it. It opened. My room looked the same, and everything as I’d left it. Maybe, it was I who was changing. Now afraid of my own shadow, a door, a lock, a noise. A face I’d seen before. 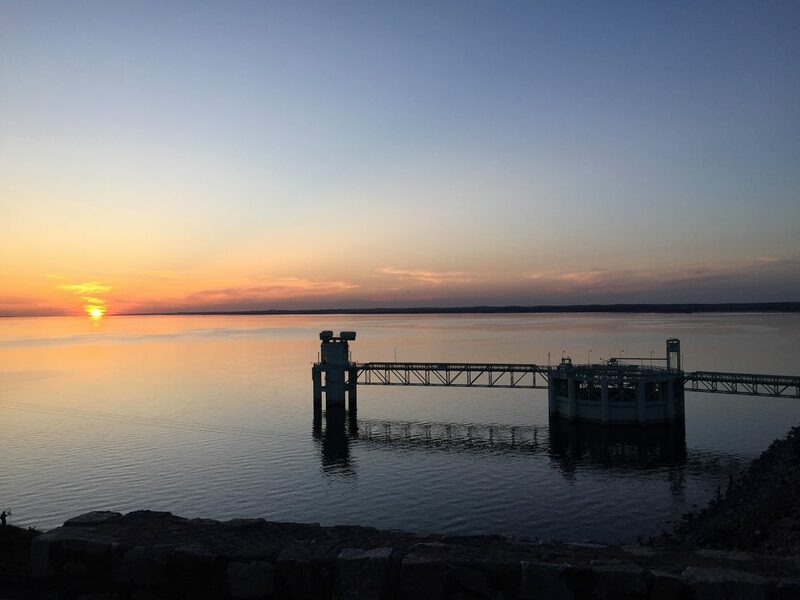 It has been over nine months since I’ve participated in Friday Fictioneers (due to other priority writing projects and time involved), but often read and comment on other writers’ stories. This week, however I decided to add one into the mix. Friday Fictioneer stories can be found at Rochelle Wisoff-Field’s blog, at http://rochellewisofffields.wordpress.com/ Because of the current piece of work I am editing and posting chapters of now (a novel, The Informant’s Agenda) this photo prompt seemed appropriate to my writing genre and story theme, so here is my contribution this week for this prompt. The interesting thing is that although my current novel is fiction, this little story has a lot of truth in it as it is based on factual truths found in my novel. 1) My grandfather Jacob’s family were immigrants from Odessa, Russia, and were German Jews. And after over thirty years of research I am now writing a story similar to their own. 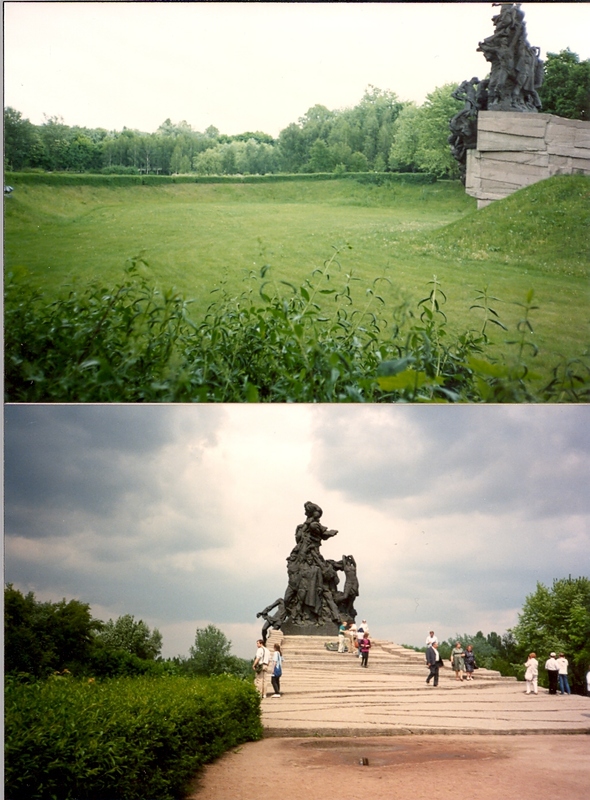 And 2) I did visit Russia and cities in Ukraine in 1989 where I visited several cities in my novel, and took the photos below this story of the Babi Yar Jewish Memorial in Kiev, 1989 which is a sad, unforgettable site. Information on the Babi Yar can be found in Wikipedia and elsewhere. Any comments and feedback are always welcome, and thanks for reading. Below is my story to go with the photos above and submitted for the week’s Friday Fictioneers story. I thought of Grandfather Jacob and his family coming ashore in 1889, yearning to ‘breathe free’, to live in a land where ‘pogrom’ and persecution were foreign words, not ones to be feared. The words of one from the Babi Yar memorial to the thousands of Jews massacred in Kiev came to me. It seemed fitting to end my journey here upon my return from Ukraine. “Your piece is shaping up, nicely. Add a little more detail here though. Who are they?” My art instructor asked. Their images shared the space with other old family documents. They came to her that night again, while she lay sleeping. Two white apparitions; Beethoven, performing symphony #9 on the piano. Portrait of Beethoven in 1815, two years after the premiere of his 7th Symphony. Every week a photo is posted by Rochelle Wisoff-Fields provided by her, or someone else for the benefit of inspiring writers from all over the globe to submit their own 100 word story based on the photo prompt. Below is my story. It is pure fiction in the literal sense. My characters, plots and locations are those of my own creation. You may find all my prior 100 word stories under the category of Friday Fictioneers, Flash Fiction, or Short Fiction if you are new to my blog and wish to go back and read any of my older stories. I welcome you to come along with me to my imaginary world of ‘make believe.’ And as always, feedback and comments are welcome. Palms swayed. Wind blew off the Keys. The surf was up, the tide coming in. The sun was high and bright, a beautiful day. It has been over forty years since we declared our love to one another on Valentine’s Day, our wedding day, here. Today, we will renew our vows. But, will he remember any of it? Alzheimer’s has claimed his mind, his memory, our time left, and our love. I cannot think, or hope beyond this day. I pushed his wheelchair onto the old, creaking boardwalk, our children walking beside us. Will he remember any of it? Irina set out fresh candles for the menorah, gleaming from a recent polish. The phone rang. She was too busy to talk, but answered. Maybe it is Jacob. Why is he so late getting home? The below story is fiction. It is my submission for this week’s Friday Fictioneers 100 word story hosted and led by Rochelle Wisoff-Fields, based on a photo prompt provided. Any comments or feedback are always welcomed. For those reading my stories, my characters and what they experience are all fictional. They live in fictional locations, unless otherwise mentioned. My stories do not refer to anything I (or anyone I know) have experienced, or a situation I have gone through. But, they could be real people, or about real experiences, if I make them convincing enough. Again, that is a part of the creativity I strive for, as a writer, fictional characters experiencing things that might happen to them, or those in their lives. My characters and their stories are not based on any particular perspective, or viewpoint I have on the subject, only the perspective needed to tell the story. I believe that a truly creative and effective writer of fiction can create all different kinds of characters and situations in their imagination. But, in creating my own stories I like to leave an impression or image that will resonate with the reader. One that is as real as these experiences are, or can be in my characters’ lives, will leave the impression that there can be hope in a situation, or experience, not always one of despair. In real life it can turn a situation around for them to the positive. I hope you will come along with me to my imaginative world of ‘make believe’ and maybe you will feel like you have known that character in my stories you have read about. One you can cry with, grieve with, sympathize with, laugh with, or just be entertained by them. And for those just coming along for the first time to a Friday Fictioneers story of mine, you can catch up on all my past Friday Fictioneers stories from 2012, and any other of my longer fiction stories posted by going back to my category listing on ‘Fiction’. Thank you, and a Happy New Year to all the Friday Fictioneers, bloggers, readers and writers following my blog in 2012. BOOM! Colors exploding in the sky. Pink, purple, hues of all kinds. Party hats rushing. Whistles in my face. From where did they come? I can’t stop the ringing in my ears. Like bullets pinging off my brain. My hand clutches a ticket, but a ticket to where? Images of things spinning around. Dark cloaked shadows stalking my head. His arms reach out, receiving me. One final note: The story above, is in tribute to victims (and their surviving families) killed through tragic deaths this last year, and prior committed by one who was bent on destroying the lives of others, through mass killings.